The man bun was initially labeled as a hairstyle for “hipsters”, but today it is a mainstream hairstyle for most men across the world. Most assumed the man bun hairstyle as a fad that would disappear into oblivion, but the reality is just the opposite. Instead, the style has clung on to power and has become exceedingly popular. If your hair has a good length, get out of your comfort zone and try on these 15 man bun hairstyles we have compiled below. 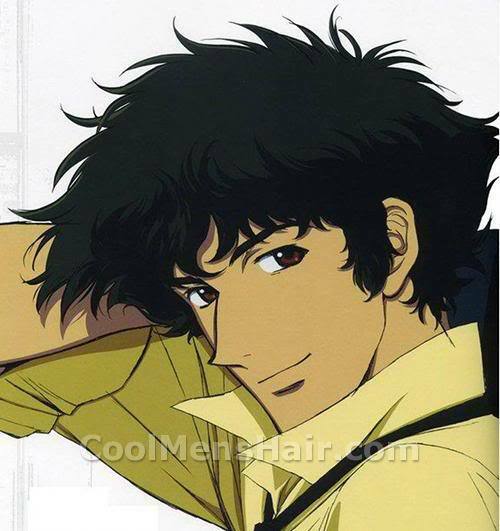 It is an excellent style to consider. The classic man bun is simple and looks great. It is also extremely practical as you only have a simple bun in the middle of your head. If your hair is at least shoulder length, then this the bun style to consider. If your hair isn’t at shoulder length or shorter, don’t fret. There is a bun style you can rock. Gents with medium hair length can get the mini man bun and we can assure you will look incredibly stylish. 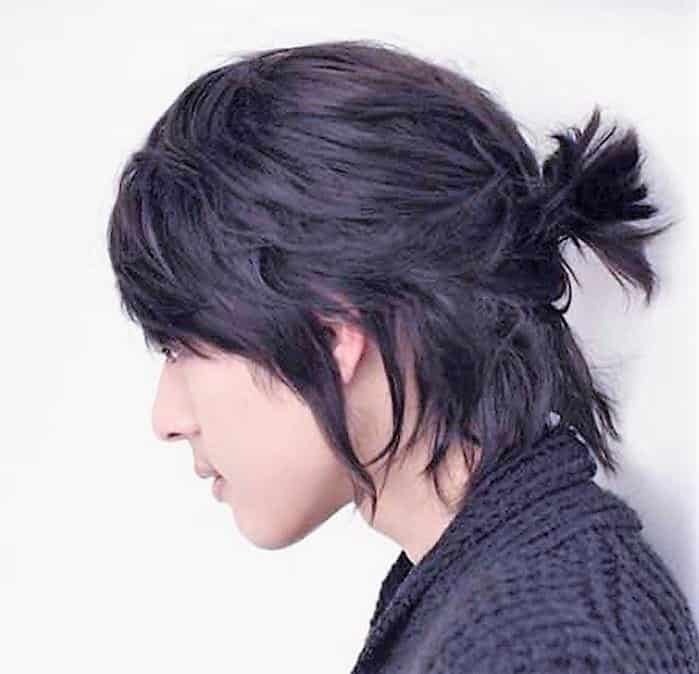 Another dapper bun style for Asian men is the half-bun. The half-bun takes its name as the top half of the hair is tied into a bun, while the rest is left flowing loose. 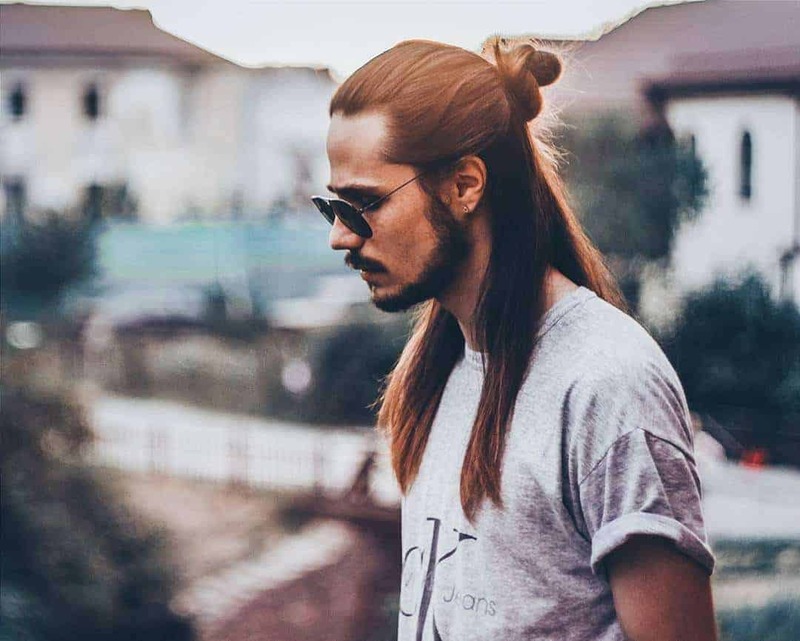 Men with either long or medium hair can look good in this bun style. This iteration of the man bun sits high on top of the head. You can make the bun appear tight or loose depending on your preferences. A tight top knot will make you look sharp, whilst the loose will make you appear relaxed. If you’re someone who appears uptight all the time, its time you relax and get a messy man bun. Messy man buns are perfect for men, who want to be both look casual, but still, want to remain stylish no matter where they are. Stylish people have always been combining two or more trends to look cooler and fashion-conscious for a long time. If you’re looking for a unique and eloquent appearance, then combining these two hairstyles into one is an exemplary way to do it. This bun style is a great alternative to the classic style man bun. In the low man bun, the bun stays at the nape of the neck. It looks excellent for casual and informal events. Spice up your long envious locks by spiking them with a spiked man bun hairstyle this season. It’s an awesome updated version of the classic man bun. You can be a real hipster if you don’t sport a beard. If you want to relinquish how it feels to be a hipster, then pair up your beard with a man bun. Creating this look isn’t hard, but it does take some time. So be patient. If you’ve been sporting dreadlocks for a while, you can update your overall appearance by rocking a man bun. Not only will this make you look impressive, it is also practical to cool yourself during summers. This bun style is like the half-bun — the major difference is that only half of your hair is secured by a knot, while is left loose. The half-up top knot is also positioned a little higher on the head. This bun hairstyle elevates the top knot bun style to another level. Rather than leaving your half of your locks hanging loose, why not consider to shave it off? If you want you can also grow a beard to compliment your appearance. For guys who want to make their existing man buns more appealing with any cutting or shaving, braiding your man buns may be a worthy option. You can look dapper and stylish by combining braids into your man bun. Further your man bun style to a whole new level with the double man buns. As the name suggests, you will have two-man buns instead of typical one. However, make sure the knot size is equal on both sides of the top of the head. Back in the days, long before anybody heard of hipsters, the Japanese used hair sticks to hold it in place. They also decorated it. 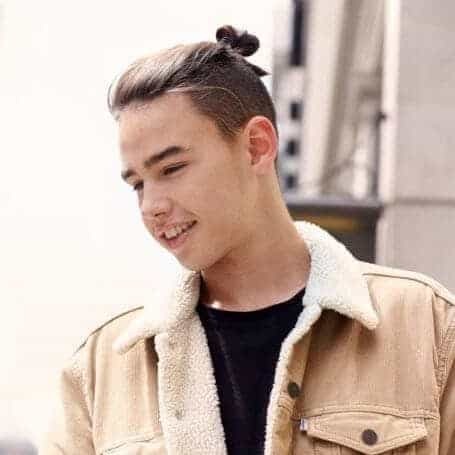 Now, you can rock these incredible Japanese buns by adding your own twist to the Asian-inspired man bun. What is the minimum hair length to have a man bun? It all depends on what type of man bun you’re willing to get. However, then you will need at least 6 inches of hair length to tie a man bun. How long should I have to wait to get a man bun? This depends also depends on the type of man bun you want to have. For example, you will need at least 6 inches of hair to tie a man bun. Normally, it takes 16 months to grow a full man bun. Can guys with curly hair have man buns? Absolutely! Any person irrespective of hair type can sport a man bun. Is a man bun easy to maintain? You need to have long hair to rock a man bun. And you need to be careful about your long hair. Long hair needs more care than short hair or medium length hair. We recommend you use a good, high-quality conditioner. I am balding, can I have a man bun? If you want the short answer, it’s ‘no’. The reason you’re balding is that your hair follicles are weakening progressively. Weak hair follicles mean your hair can get ripped easily when tied tightly into a man bun. So, it better to stay away from man buns if you’re balding. Man buns can really spice up your look and make you look stylish, edgy and relaxed. If you like any of these man buns, show these pictures to your hairstylist or barber, and get the one that suits you well.